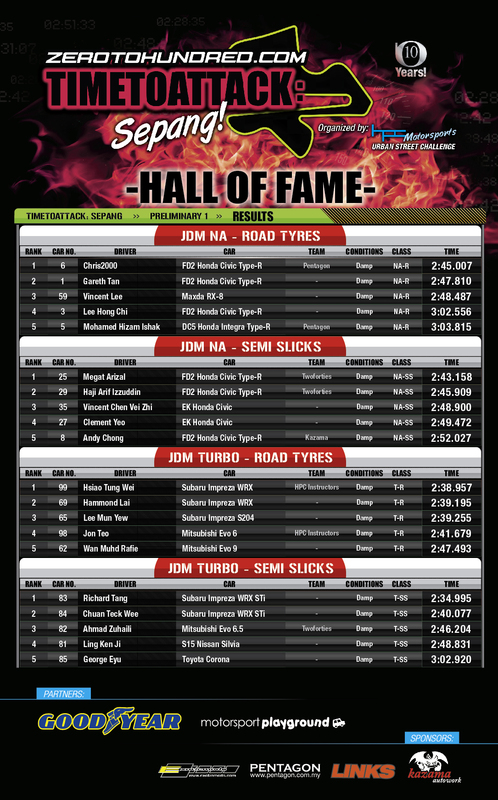 Hall Of Fame – Fastest JDM | Time To Attack: Sepang Round 1 | TIMETOATTACK! The JDM Top Fives! From JDM NAs to JDM Turbos split in Road Tyres and Semi Slicks Tyre Categories.